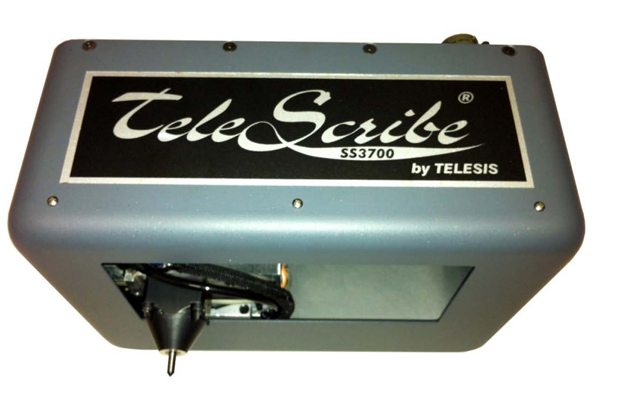 The state-of-the-art servo-driven SS3700/470 Telescribe® Marking System provides permanent low-noise marking at speed/depth combinations not previously attainable. Virtually silent, the SS3700’s robust X/Y platform provides an ample 6” x 2” (152mm x 51mm) marking window, making it the optimum choice for many both manual and automated VIN marking applications, especially those with speed/depth requirements beyond those of traditional stepper motor-driven designs. Marker performance characteristics vary significantly depending on the specifics of the applications, including the material being marked, the thickness of the material and the air pressure setting. When marking cold rolled steel with a thickness of .030” (.75mm) or more, marking depths of at least .004” (0.1mm) can be expected and when marking thinner, softer materials marking depths of up to .008” (0.2mm) can frequently be achieved, even at marking speeds of up to 2 characters-per-second for .276” (7mm) characters. 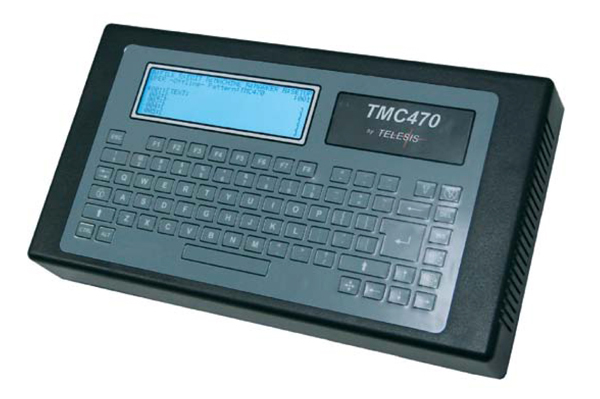 The system’s stand-alone TSC470 Controller is equipped with an integral keyboard and LCD display and provides a simple user friendly operator interface with no PC required. In addition, the TSC470’s discrete I/O, serial and Ethernet ports provide the communications capabilities required for factory automated applications.